This is a series of articles about LNK Creative’s Inner Muse & Inner Mentor system of Archetypal creativity qualities. 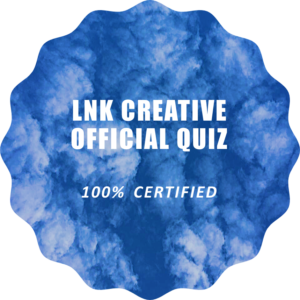 This system is what is behind the Archetype Balancing Quiz – An LNK Exclusive. This Quiz serves as an example of the kind of tools LNK Creative designs for businesses of all sizes. LNK Creative provides anywhere from 30-minute consultations for Do-It-Yourself setup of forms all the way to designing, programming, and hosting complex typing instruments, autoresponder emails and automated privacy-protected reporting. Look here for more examples of happy clients’ quizzes! Through extensive research in 2012 and 2013, Ellen Koronet (Principal and Chief Fun Officer of LNK Creative) identified sixteen pairs of archetypal qualities that she observed decision makers drawing upon when problem solving or planning. The full set of sixteen pairs of archetypal qualities is published as a double-sided picture deck, designed by Ellen Koronet (Social Scientist and Creativity Facilitator) and illustrated with original photos by Noa Koronet (Designer and Illustrator) to help teams and individuals balance the energies that are active as needed while working towards any given goal or objective. When the deck is shuffled and a question is asked, amazing insights are revealed. “At any given moment, inside each of us, there are many feelings, thoughts, and forces in motion ~ sometimes at odds with one another, constantly striving towards balance. Recognizing the contrasts within each paradoxical pair can provide magical release: An unlocking of habitual thinking and behaving. Seeing the juxtaposition can give just enough perspective to shift focus, thinking, and actions.” – Ellen Koronet, Introduction, Page 2, Inner Muse & Inner Mentor Creativity Inspiration Cards Guide, LNK Creative, 2013. Mentors tend to be more measurable, concrete, and actionable in nature, whereas Muses tend to be more mystical, changing, and emotional in nature. The Muse and Mentor pairs are not so much “opposites” as they are “complements” to each other. Both qualities and ways of thinking about a situation are critical to success. They tend to maintain a kind of equilibrium between them: One or the other or equal parts of both are always present. Too much of the Mentor archetype leads to stagnation and too much of the Muse archetype leads to negativity. Either way, immobilization sets in. The cards must be flipped to restart the flow of motion and positivity. Fruition (pairs 13 – 16). When working with the cards, any Muse/Mentor pairs may be called into play regardless of where they come from in the sequence. Examining these subsets can provide insight into the “stuck places” and the general phases of problem solving, even though the decision maker typically cycles in and out of the sets in random order. This series of articles explores the subsets of four Archetypes each from the system of sixteen pairs, with the emphasis on the verbal aspects of the Muses and Mentors. Without the images, we can delve into the concepts and constructs each subset of Archetypal pairs brings up: The Muses typically bring an impassioned feeling of positivity and hope, while the Mentors typically motivate and energize. You can purchase the entire deck and guidebook in a satin bag by contacting EllenKoronet@LNKcreative.com. Note: The guidebook that comes with the deck explains the system, describes the upsides and downsides of each pair, and offers some suggested exercises. Ellen Koronet is also available for full workshops and creative problem solving sessions. This is the second article in the series, describing subsets of archetypal pairs in the Inner Muse & Inner Mentor Creativity System. These four archetypal pairs in the system are especially helpful when birthing a new idea or when a new solution is needed. These are the “generation” archetypes. *Each of these four cards in the published deck is double-sided, with the Mentor in blue on one side, and the Muse in purple on the other side. The photos that accompany each quality were carefully chosen to represent that quality and appeal to the user in a particular way. At least one of the second four pairs is in play when a shift is needed to begin a new project, endeavor or phase. These four Muses are wide open: ideas and dreams just waiting to be explored. These four Mentors focus our attention on what needs to happen at this point in order to start the ideas and dreams on a path towards realization. How does it feel to trust and go with the flow of these ideas and all that is surrounding you? In this subset, in order to avoid being caught in a constant barrage of ideas without the satisfaction of seeing them materialize, you must flip each Muse over to focus on the next steps. The Mentors in this group are all about formulating a plan of action. This can be done as brainstorming exercises or fact-finding missions. Questions to ask throughout these exercises might include…. What do you realistically see, hear, or know about the ideas or intentions? What is the plan of action or blueprint to move towards the ideas or intentions? What does the structure you are building look like and consist of? Which elements are big action items and which are incremental, planning steps? When you are clear on all of the above, it may be time to “power through.” What are the very next steps you can take? At any point in working towards a goal, always notice when you have begun to exhaust the benefits of thinking or acting in line with a particular Muse or Mentor. You will know you are approaching this threshold when you are feeling stuck (the downside of a Mentor) or dejected (the downside of a Muse). At this point, be sure to flip the archetypes over and reach towards the complementary quality. In this way, you will balance the energies and begin to see clear progress. You will also feel the satisfaction that comes from taking action that is aligned with your dreams. In the “generation” phase, this means allowing your dreams full reign. Honor them; acknowledge them; grant them wings to fly. And when it feels like they are beyond your grasp, turn gently towards your physical reality: see where you can anchor them and envision them fully functioning.